Engineered with revolutionary Bullet Drop Technology, these Hot Magnum .17 cal. and .22 cal. 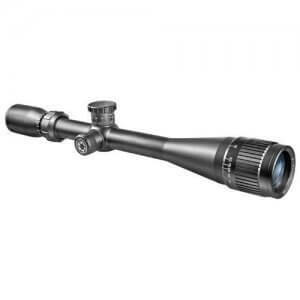 rifle scopes now offer optional bullet drop compensation for .17 and .22. Using an interchangeable .22 BDC turret, you can easily convert from .17 to .22. 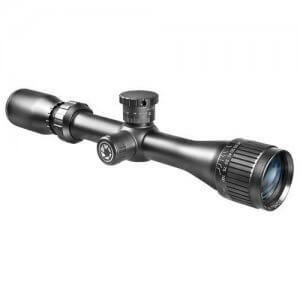 The scopes .17 and .22 elevation knobs are precisely calibrated to compensate for the elliptical drop of the .17 Magnum rimfire with a 17 grain bullet and .22 caliber bullets. 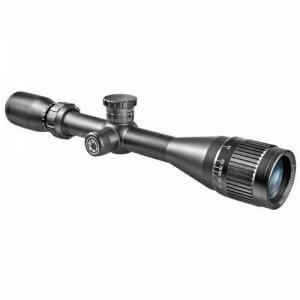 Added features like high density optical glass for crisp edge-to-edge clarity, multi-coated optics for brighter viewing and adjustable objective (AO) for parallax correction you’ll discover that these scopes are unbeatable. Backed by BARSKA’s Limited Lifetime Warranty.